I know Daft Punk’s music from the 1990s when they were (until now) at the height of their popularity. I’ve never loved them, but enjoyed quite a few of their hit singles. “Around The World” is an amazing song, and the video is one of the most brilliant music videos I’ve ever seen. 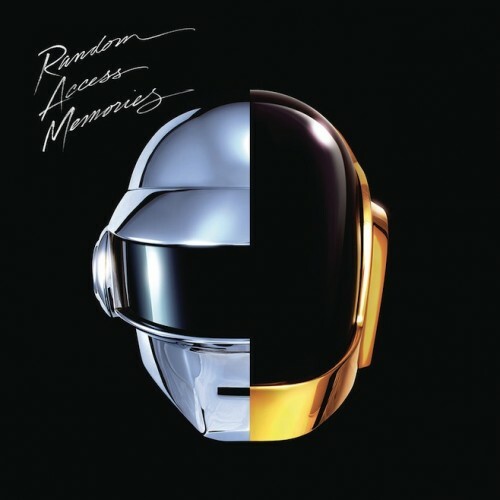 When they released their latest album, Random Access Memories I of course heard the extremely popular “Get Lucky.” The song was stuck in my head long enough that I bought the record. My first Daft Punk record! The album as a whole was a bit of a let down after all the hype and the skill of the lead single. The skill of Thomas Bangalter and Guy-Manuel de Homem-Christo as songwriters and musicians is evident, but the songs aren’t as catchy as the lead single would have you believe. The album can at times overly conceptual, such as “Giorgio by Moroder,” a track based on the works of Giorgio Moroder with a bit of his self-told story thrown in for good measure. It’s still has the disco feel of the album, but with a handful of jazz for good measure. I think that much of the album has a varied style due to the vast array of songwriters that Daft Punk are able to pull from. They had songwriting help from Nile Rodgers, Chilly Gonzales, Julian Casablancas, Pharrell, Paul Williams and more. One of those names you might not recognize, but should. Paul Williams is an extremely talented songwriter, but he’s best known for his song “The Rainbow Connection.” Williams wrote the songs for The Muppet Movie, The Muppet Christmas Carol, The Great Muppet Caper and more. It’s interesting to hear Williams’ work on Random Access Memories as he takes the album into a very different territory than it would normally go. Williams brings a lot of drama as his songwriting style is layered in the theatre. The obvious choice is “Get Lucky.” It’s a brilliant song, a perfectly craft pop masterpiece. The disco stylings are unique in this day and age. “Touch” is a great Paul Williams song with an electronic atmosphere to it. “Giorgio by Moroder” goes on too long.